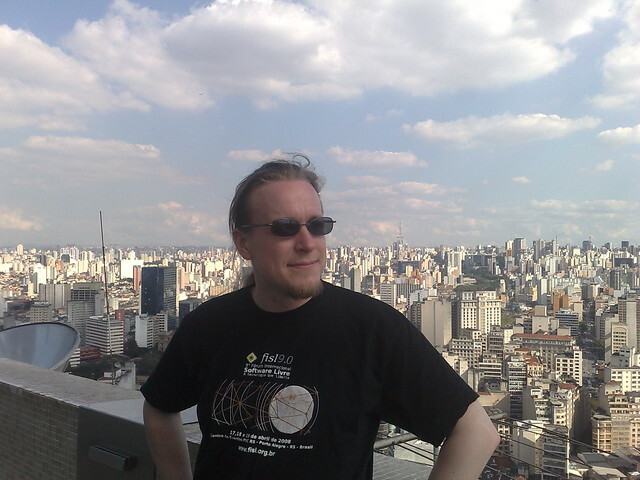 Today I went to see Tim Ney’s talk about Free Software Innovation in the 7th FISL conference here in Brazil. The talk started with a birthday greeting for Queen Elizabeth II. Brazil has some connections to the Maemo development, and there is quite a bit of buzz about the Nokia 770 here. 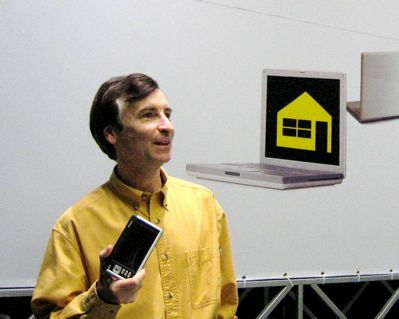 For example, the Python port to Maemo was done in a Nokia-funded research center in Recife. Nokia was a relatively late mover into the Linux space, giving them the advantage to watch how other companies were doing with their Open Source initiatives. 770 was also an excellent place to experiment with the Free Software model of working, as it is not a mobile phone, the Nokia staple. One interesting way of working Nokia used in the Maemo project was to contract parts of the work to small consultancies abroad that were already active in their respective Open Source projects. This enabled Nokia to keep its own engineers working mainly on the device itself, and have the software infrastructure still come up. An important difference in Free Software development is that it follows a more evolutionary model where different ideas are experimented with, and the strong ones survive, than the traditional waterfall model of software development. I’m not sure how much Nokia allows this evolution to happen purposefully, for example with the different browser alternatives. And all of these must be available to every potential contributor to the project. This is something where corporation-led projects like Maemo still have a lot to improve. Some of the lack of openness in the project probably comes from the initial secrecy of the Maemo project. In the other news, there is a good review of 770 on Guardian. And later today Richard Stallman will be talking about GPL v3. 05 June 2011. 7 minute read. 19 April 2008. 1 minute read.